At Capital Captions, we provide subtitles and closed caption services across a whole range of industries. If you are looking to use any of our typing services for the first time, we have compiled a list of the top eight reasons why you should invest in subtitles and closed captions for your videos. Subtitles or closed captions allow your audience to watch videos in sound-sensitive environments, like offices, libraries or even public transport. Headphones might seem to be alternative solution to this, but we all know how annoying that tinny sounding loud music sounds when riding the tube! Adding closed captioning or subtitles to your video can add clarity to content involving technical language, industry jargon or company’s/individual’s names. For listeners, abbreviations, jargon or certain names may be harder to decipher, especially if the viewer isn’t experienced within your industry. 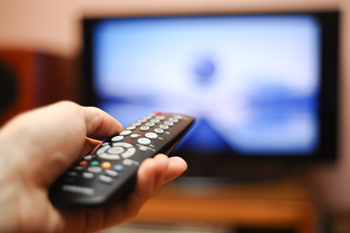 Subtitles can help a viewer retain information more easily by providing not only an audio but also a visual stimulus. Whilst captioning is great for enhancing comprehension of another language, well written captions and subtitles have the added advantage of helping to improve native language skills for writing, including spelling, punctuation and grammar. For this reason, onscreen captions are definitely a recommendation for children watching television. Another great benefit to adding closed captioning or subtitles to your program is that they are proven to allow viewers to maintain concentration for longer periods of time, providing a far better experience for viewers with poor concentration, attention disorders or autism. Using closed captions or subtitles on your programs, films and videos helps your audience follow along with speech much easier, regardless of whether they are deaf or hard of hearing. Onscreen text ensures viewers can fully appreciate your videos regardless of any background noise which may be going on in the room. 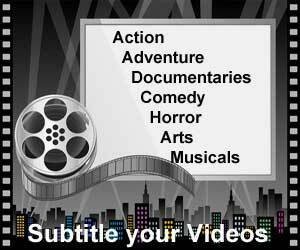 Closed captions and subtitles aid the comprehension of dialogue that is spoken very quickly or with an unfamiliar or foreign accent. Onscreen text is an alternative option to rewinding a video or turning up the volume in order to hear sections of speech which are mumbled or spoken over excessive background noise. Just think about how many times you’ve had to rewind that infuriating, mumbling death scene at the end of a movie just to hear what was said. Subtitles and closed captions are a great solution to this. Watching a film or television show whilst using subtitles or closed captions can vastly improve or accelerate a viewer’s learning of that language, as they are able to listen and read simultaneously, consciously and subconsciously picking up elements of language as they go. If your company requires dubbing or subtitles for translation purposes, having subtitles and closed captions already available in the source language will allow translators to work much faster and more efficiently, thus saving you money in the process. So there you have it, the top eight reasons why you should invest in subtitles or closed captioning for your videos. If you would like more information about any of our subtitle services or transcription services get in touch with us by email at info@capitalcaptions.com or phone us directly.